Team Honda Research West (THRW) was formed by verbal agreement in 1995 during a vehicle development project team dinner with Nobuhiko Kawamoto, CEO of Honda Motor Company Ltd., and future Honda Formula One leader Takefumi Hosaka. 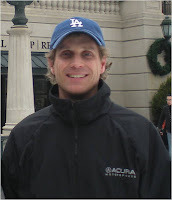 Matt Staal, one of the team founders and leaders, secured official Honda R&D support for the 1996 season, and it continues to the present day. The purpose of the team is to 1) increase Honda presence in U.S. motorsports, 2) enable product-development associates to gain motorsports experience and 3) promote teamwork within Honda. Since 1996, THRW has consistently raced in regional and national events sanctioned by the Sports Car Club of America and the National Auto Sport Association - earning 53 total wins. 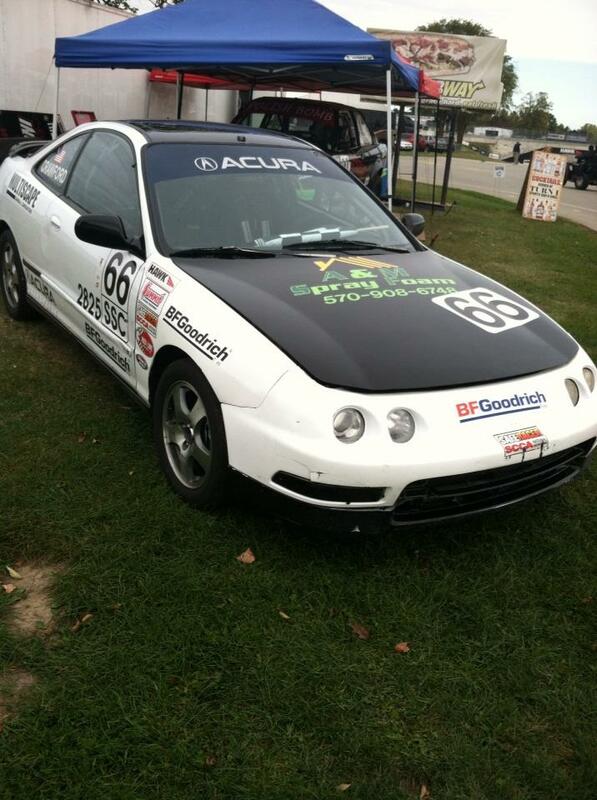 THRW’s first race car was a 1994 Acura Integra GSR that achieved a 4th-place finish in the 1999 SCCA National Championship Runoffs (SSB class) . 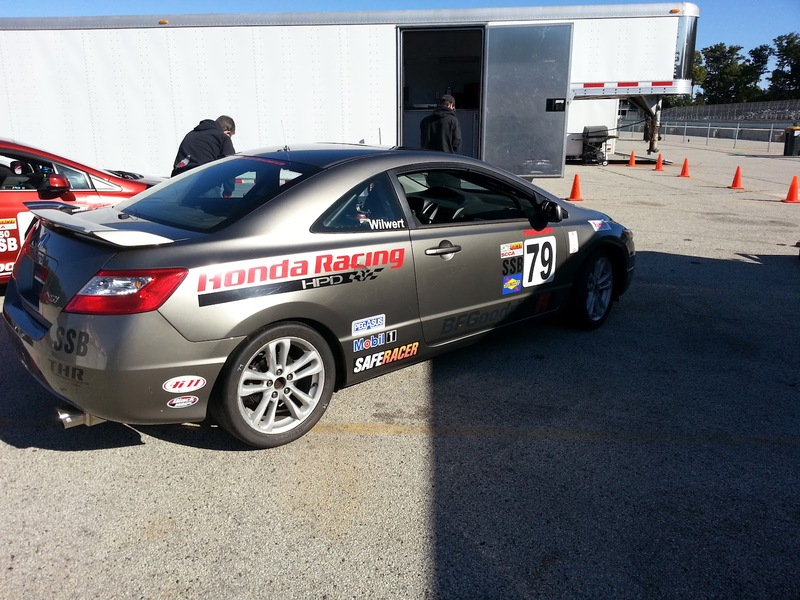 Next, the team built a Civic Si, which won regional and national SCCA sprint events. In an effort to promote teamwork and strategy, in 2004, THRW expanded its focus to add endurance racing, entering an Acura Integra at the 25 Hours of Thunderhill. 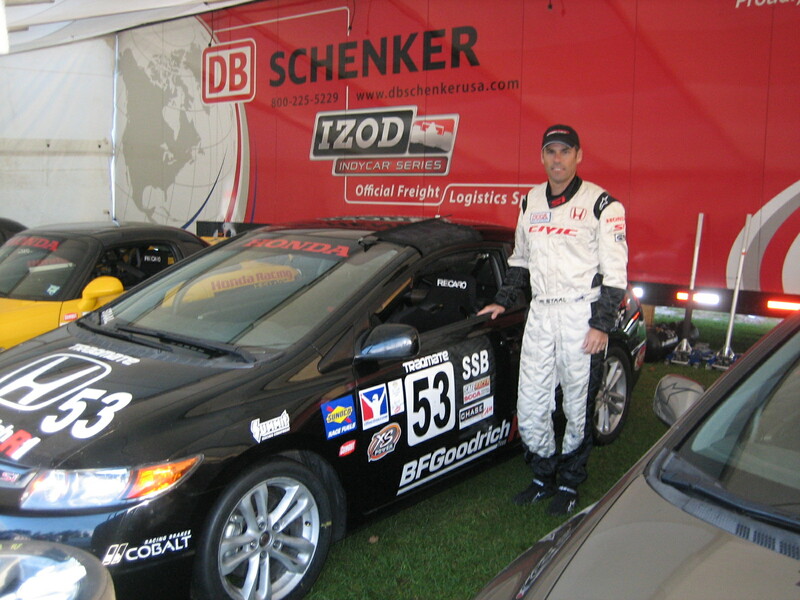 In 2005, THRW collaborated with Honda R&D Ohio and American Honda Motor Co, Inc. to win the 25 Hours of Thunderhill. The combined team drove a 2006 Civic Si to an E1 class win, and achieved 4th place overall. The team repeated a class podium at the 25 Hours of Thunderhill in 2006, in a Civic Si coupe. A year later, the team resumed its Acura-based efforts by campaigning two RSX Type S models, which won the National Auto Sport Association (NASA) Western Endurance Racing Championship. In 2008, the team earned another class podium at the 25 Hours of Thunderhill. In 2010, THRW built two Honda Fit B-Spec race cars. 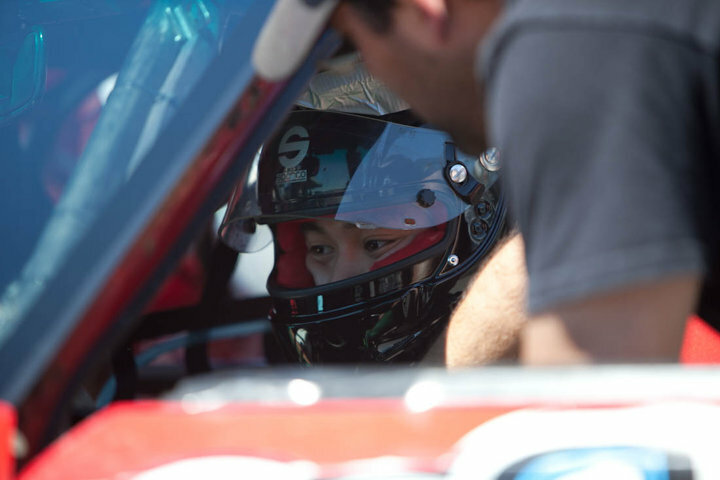 The Fit B-Spec racer won the debut of the World Challenge/SCCA Pro Racing B-Spec series at Miller Motorsports Park, and the inaugural season manufacturer championship. The Honda Fits have been displayed and promoted at industry and racing events, including the annual Performance Racing Industry meeting, IZOD Indycar Series races, and on the Honda Performance Development and SCCA websites. In addition to endurance racing, THRW members have a long history of success in SCCA sprint racing. THRW members have won SCCA National Runoffs Championships and class poles racing Honda Civic Si’s, S2000s and Acura RSXs. Matt Staal (left), driver, team leader and head of driver development. Matt is a Senior Planner in the Honda R&D Americas, Inc. Advanced Product Planning Department. John Whiteman (right), team/race strategy and sponsorship. John is the Manager of the Honda R&D Americas, Inc. Advanced Product Planning Department. 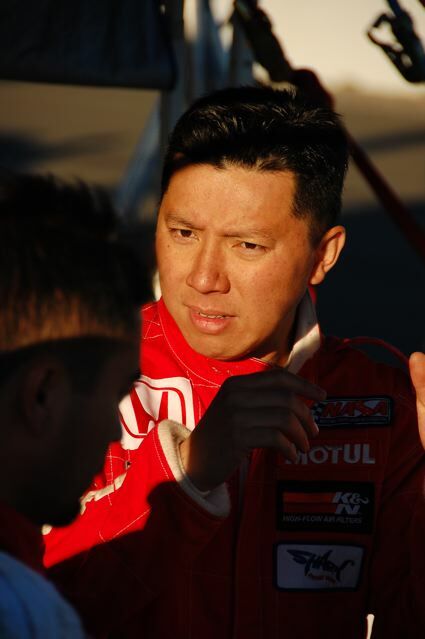 Calvin Liu (left), driver, Acura ILX racing project and technical team leader. Calvin is a Design Engineer in the Surface Development Department at Honda R&D Americas, Inc.
Roy Richards (right), driver, team treasurer. Roy is a coordinator in the Energy and Environmental Research Group at Honda R&D Americas, Inc.
Derek Ferretti (left), driver. Derek is a Senior Modeler in the Styling Division at Honda R&D Americas, Inc.
David Kirsch (right), crew chief. David is a Senior Engineer in the Information Technology Research Department of Honda R&D Americas, Inc.
Justin Chiodo (left), driver. Justin is a Senior Engineer in the Advanced Product Planning Department at Honda R&D Americas, Inc.
Lawrence Hwang (right), driver. 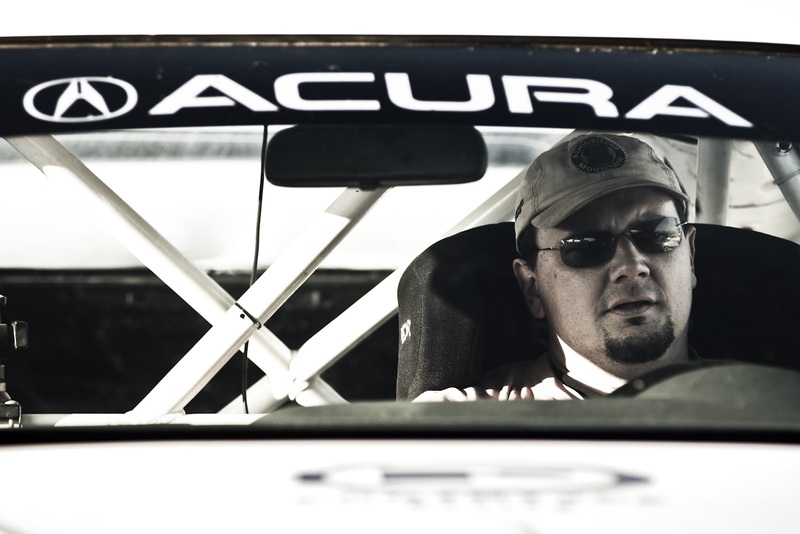 Lawrence is a Senior Designer at Honda R&D Americas, Inc.
Lee Niffenegger (left), SCCA National Champion driver. Lee is a Senior Engineer in Business Development for Honda Performance Development. Sage Marie (right), driver. Sage is the Senior Manager of Public Relations for American Honda Motor Co, Inc. Team sponsors include Honda R&D Americas, Inc., Honda Performance Development, Acura Motorsports, BF Goodrich, AEM, H&R, Baja Designs lighting, Enkei, Red Line Oil, APR, Bride, Schroth racing harnesses, NRG Innovations, OMP, TireRack.com, Pegasus Auto Racing Supplies, DGauge, Monster Energy Drinks, Design Engineering. Honda and Acura racers won four Sports Car Club of America national titles and claimed a 1-2 finish in the inaugural B-Spec category, run as a exhibition class, in last weekend’s SCCA National Championship Runoffs at Road America. More than three dozen Honda and Acura racers traveled to the classic Road America road course in Wisconsin for this year’s 49th annual Runoffs, September 17-23, taking part in 13 of the 30 competition classes. Five drivers used the Honda L15A7 engine in Formula F at this year’s Runoffs, a record for the manufacturer in this open-wheel, training-ground category. Tim Kautz made history on Friday as the first Honda-powered Formula F National Champion, after a race-long battle with defending class champion Lewis Cooper. Thursday’s opening event,resulted in a clean sweep for Honda and Acura drivers in the combined race for Showroom Stock B, Showroom Stock C and the new B-Spec class. Luke Wilwert started from the pole and went on to win SSB in his Honda Civic Si, while Michael Crawford piloted his Acura Integra from third on the starting grid to the SSC national title. In the new, non-championship B-Spec category, Sage Marie came out of top of a wild three-car fight in his Honda Fit, which also earned him the Sunoco “Hard Charger” award for his efforts. Marie, fellow Honda driver Joel Lipperini, and Shawn Young in a Mazda2 ran within tenths of a second of one another throughout the 13-lap contest, frequently running three abreast on the long Road America straightaways, before Marie eked out a narrow victory over Lipperini. The fourth Honda championship of the weekend came in H Production, where Michael Moser won his first Runoffs title, with defending class champion Greg Gauper making it a 1-3 finish for Honda. Moser and Gauper were part of a four-car train that broke away from the field in the early laps, before Moser edged away to his first national championship. Honda Performance Development [HPD], through the Honda Racing Line, offered contingency awards of up to $2,500, along with additional support to help offset travel costs for the racers. HPD also hosted catered, trackside hospitality exclusively for Honda/Acura competitors and their team members, providing a buffet lunches September 18-22 and a television monitor showing a live feed of on-track activities. Connor Ford continued his nearly perfect season in the 2012 Corsa Car Care presents Pacific Formula F Super Series with another pair of race wins September 8-9 at Buttonwillow Raceway in California, scoring his seventh and eighth victories in 10 starts this season and clinching the championship with two races remaining. Meanwhile, the Eastern US-based F1600 Formula F Championship will go down to the wire, as title contenders Brandon Newey and Matias Koykka traded victories – and some contact – August 25-26 at Summit Point Raceway in West Virginia. In the West Coast series, Ford and his PR1 Racing Honda Mygale were untouchable at Buttonwillow, qualifying on the pole for both races, and leading Ed Erlandson – his most consistent rival this season – to the checkers each day. Ford’s first victory of the weekend was enough for the teenager to clinch his first Formula F title, and his win on Sunday pushed his championship points total to an insurmountable 318, to Erlandson’s 199. Ford also won the Pacific Formula 2000 Championship in 2011, and is one of eight finalists in the 2012 Team USA Scholarship program. Back east, the Summit Point race weekend opened with no fewer than four cars battling for the lead, with young Canadian Garrett Grist and Australian Shae Davies taking turns at the front along with Koykka and Newey, another 2012 Team USA finalist. Last-lap drama resulted in contact between Newey – leading at the time – and the second-running Davies. Newey spun, but recovered to finish a disappointed third behind Koykka and Grist, while Davies was unable to continue. For Sunday’s race, a brief but heavy rain shower prior to the start added even more drama. Newey took the early lead, but was one of many front-runners to spin at least once during the 30-minute event. Jeremy Grenier took over at the front in his Citation Honda, but also spun – as did Koykka, Davies, Steve Oseth and Roberto Lorena. All had a shot at victory in the race’s ever-changing conditions. In the final laps, Newey returned to the lead to claim his third victory of the season, followed home by Grenier and Koykka. With the win, Newey reclaimed the points lead by a narrow 392-386 edge over Koykka, while Grenier (315 points) and Grist (295) also remain in mathematical contention for the title. The F1600 Formula F Championship Series concludes next month with another double-header race weekend, October 12-14 at Watkins Glen International Raceway in upstate New York. The Corsa Car Care presents Pacific Formula F Super Series wraps up a week earlier, with its October 5-7 season-finale doubleheader on the Las Vegas Motor Speedway road course.